the universe is conspiring in my favor . 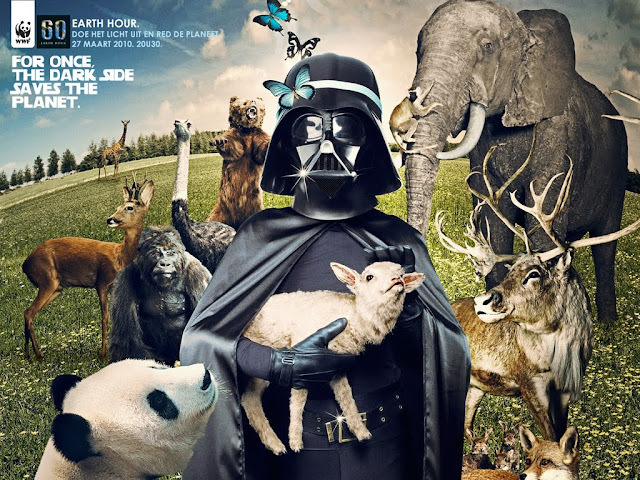 . .: Earth Hour Is Coming! Earth Hour is Saturday, March 27th at 8:30 p.m. (your local time). Do you get it? An hour of darkness circles the globe for 24 hours. I'll be hosting a ladies weekend, and they don't even know I'll be turning off all the lights and appliances. My kids are purists when it comes to Earth Hour . . . everything has to be unplugged. Might even extend it to Earth Evening. Eat raw food. Play board games by candlelight. Enjoy the unplugged hot tub . . . what the kids call the cold tub. It's going to be SO MUCH FUN. If you believe in . . . um, SAVING THE EARTH, or at least life as we know it, sign up here. Here's a litte more from http://www.earthour.org/. The future can be bright.